This move in Pennsylvania would be even worse than what Trump's doing in DC. Thanks to big-money oil & gas lobbyists, the Pennsylvania State Senate could immminently vote on a bill — HB 2154 — that would put the health of Pennsylvanians at risk in order to benefit special interests. This legislation is dragging Pennsylvania’s oil & gas pollution limits back to 1984 — potentially putting Pennsylvania at the bottom of the list of states that have enacted to protect their citizens. Don’t stand for it: Take action today, and tell the Pennsylvania State Senate to reject this dangerous bill. I'm writing today greatly concerned about HB 2154, and to ask that you put Pennsylvanian families first and strongly oppose it. By unraveling decades of progress and bringing us back to the outdated and out-of-touch rules in the Oil and Gas Act of 1984, HB 2154 endangers Pennsylvanians' health and welfare. 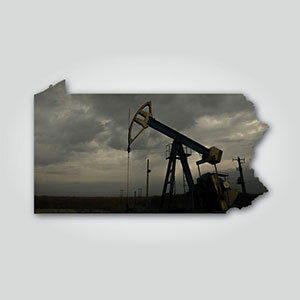 Every day, Pennsylvanian families are put at risk by oil & gas drilling. We deserve common-sense safeguards that protect Pennsylvania communities. With your vote on HB 2154 -- or any similar provisions -- please remember that Pennsylvanians expect and deserve elected officials who vote to protect the interests of Commonwealth residents over the interests of the fossil fuel industry.